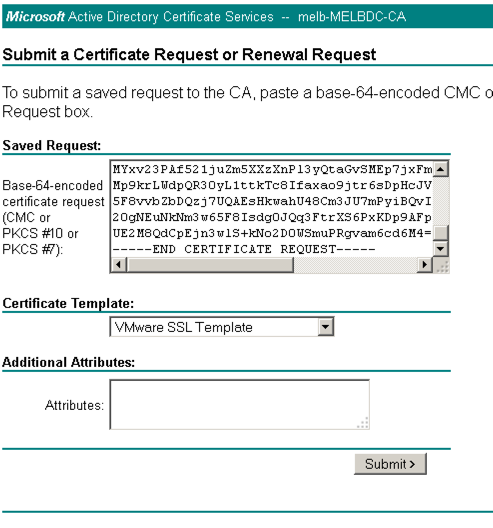 Replacing the self signed certificates for vCAC it not a particularly difficult process, just a tedious one. 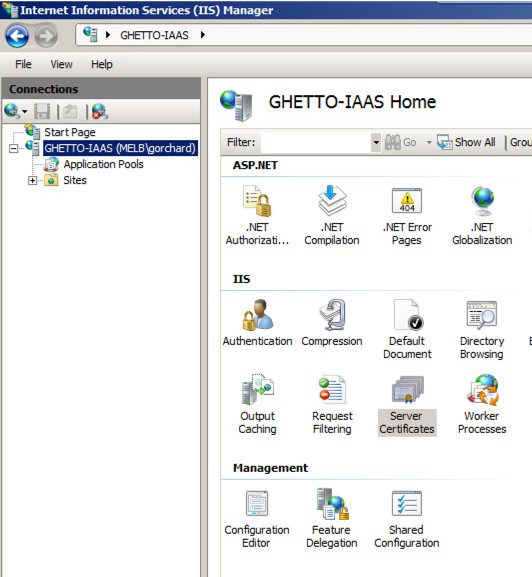 In this post we’ll take a look at what you need to do to update the certificates on your vCAC IaaS server. Save the file as vcaciaas.cfg but do not close it (I have saved my file in h:\certs\vcaciaas as you’ll note further on). To create the vCAC VA config file, update the fields in red with the appropriate information and save as vcacva.cfg (I have saved my file in h:\certs\vcacva as you’ll note further on). Next, generate the certificate request and corresponding key for the certificate. 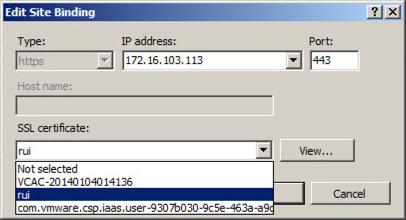 Open the rui.csr file for the vCAC IaaS Server and then copy and paste the contents into the Base-64-encoded certificate request field. Ensure you select the correctly configured Certificate Template. Click “Submit” to submit the request. Select the “Base64 encoded” option on the Certificate Issued screen. Click the “Download Certificate” link and save as rui.crt in the same location as your config file and CSR. Navigate back to the homepage of the certificate server and click “Download a CA certificate, certificate chain or CRL”. Select the “Base64 encoded” option. Click the “Download a CA Certificate Chain” link. Save the certificate chain as cachain.p7b in your desired location. Right click the root certificate and select “All Actions > Export” and then click Next. Save the export to _your location/_Root64.cer and click Next. Run the following commands (replacing the path with your desired location) to convert the certificates to the format expected of the vCAC IaaS Server. Navigate to your Server instance, and open Server Certificates. Select “Import” in the top right hand corner. 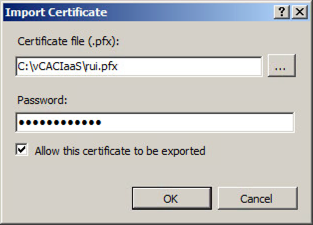 Browse to the PFX file created in the section above, enter the password (in my example testpassword) and click OK.
You should now see the imported certificate in your list (if you want it to appear more friendly then change the name from rui.pfx to something more friendly). 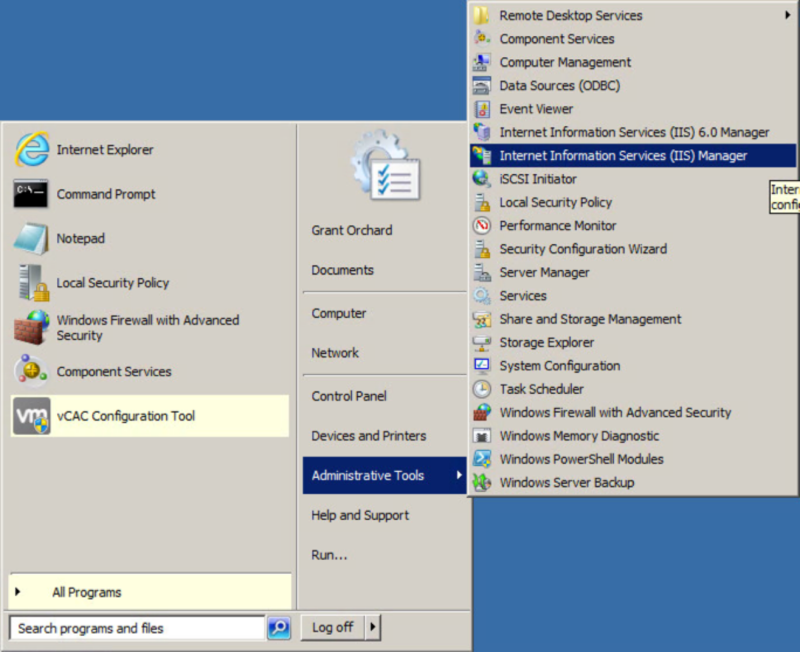 Navigate to your Default Web Site (the vCAC website) and select “Bindings”. Select “https” and click “Edit”. Click the SSL Certificate drop down and select your certificate, then click OK. Note: CAFE stands for Cloud Automation Framework Extensibility. Just in case you were wondering. At this point you are good to go, and shouldn’t receive any certificate warnings about your IaaS server. Thanks to Steve Kaplan for his assistance in putting this post together.